Cheaper than a traditional fully extending table, we can offer an option that allows you to bolt on an extension when you want to seat extra people around the table. When not necessary the extension can be unbolted from the main table, the legs removed and the extension stored away, with the minimum use of space. 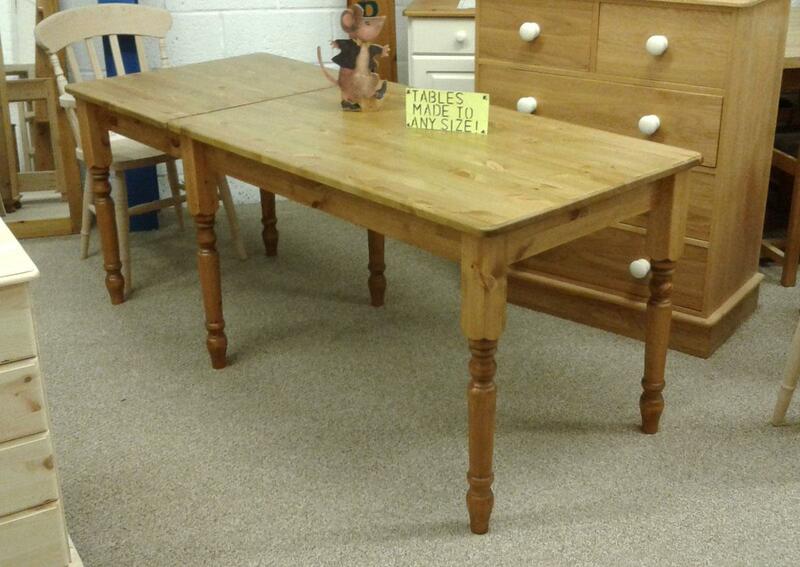 These extending pine tables are for sale with single and double extensions, seating even more. Perfect for Christmas and Birthday gatherings. We can make you a table to any size, in a wide variety of finishes. Available too unfinished or painted. Painted furniture is becoming more popular at the moment and all of pour table designs are available in a range of beautiful and durable painted colours.